Sterling Systems & Controls, Inc. can bundle your milling, grinding, sifting, metal separation and other process equipment into a complete process system with our controls and automation. Our skilled engineers have in-depth knowledge of the equipment required to properly operate your process from raw material feeding to final product destination. Sterling Systems & Controls, Inc. has developed strategic partnerships with industry leading equipment manufactures to be able to provide our customers with complete system design and integration. Why struggle with sizing air movers, filter receivers, piping, separation magnets, and other process equipment while dealing with multiple suppliers when you can get it all from one source? Sterling Systems & Controls, Inc. systems and controls integration with process equipment is second to none in the industry. Sterling Systems & Controls, Inc. available Testing and Tolling Facility is one of the largest in North America. Our extensive knowledge of processing various materials from Ash to Zinc allows us to properly identify the requirements for your application. We are pleased to have been serving a wide range of industries systems needs for well over 40 years, and we continue improving our process knowledge, systems and controls to effectively handle current and future customers’ applications. When we test run your materials, we can support our system calculations and identify the parameters ahead of time that are needed to operate your system correctly, rather than guess or assume what is needed after-the-fact in the field. 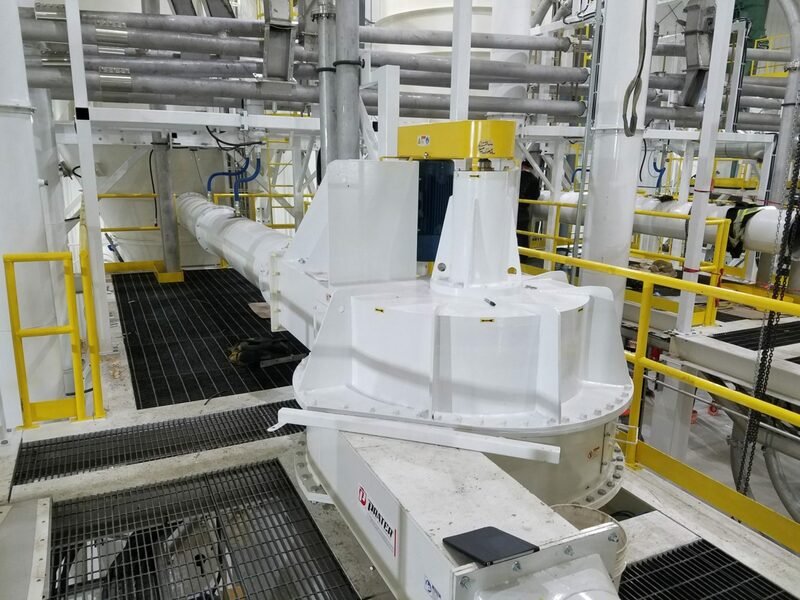 We have the process and technical product knowledge, experience and expertise to provide the auxiliary equipment to make it all work together, as one complete process system. We thoroughly understand what is needed to make your equipment function properly, and to monitor it for maintenance and performance purposes. Our Process Controls and Automation Team has the expertise to ensure your project is done on-time, accurately, and within budget. Sterling Systems & Controls, Inc. provides complete project management services to assist you on all aspects of your needs. From design and complete equipment layout drawings, to Gantt scheduling charts, and through to system start-up after installation in your facility, our services are ready to fulfill your requirements. We offer start-up assistance and training on all projects. We offer mechanical and electrical installation services and supervision, and our technical services team is always ready to assist you. In addition to our own equipment, we are partnered with our “sister” companies, Prater Industries, Inc. and Industrial Magnetics, Inc., to provide the best process equipment needed and available in the market. Industry leading particle size reduction, enlargement, feeding and separation equipment manufacturer. Industry leading magnetic material handling & metal separation equipment manufacturer.